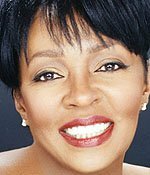 Though it's been years since Anita Baker has had a hit, the R&B singer still banks about $125,000 per concert--and all the shrimp she can eat. The performer's September 2008 tour rider, an excerpt of which you'll find here, notes that Baker's "clean, cheerful star dressing room" should be outfitted in "soft tone colors." More importantly, Baker requires that promoters provide dozens of jumbo shrimp with chilled cocktail sauce. Her shellfish needs to be available at sound check and then replenished both before and after a show.